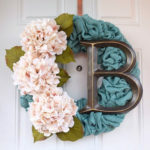 A DIY burlap wreath is one of the easiest ways to welcome spring to your front door. 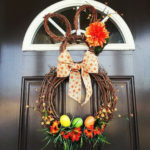 Spring is the time when homeowners work on their exteriors to improve curb appeal and a welcoming front door wreath can do just the trick. After a harsh winter, a house can look the worse for wear. If you’ve started working on your home or are about to, here is something to get your creative juices flowing. 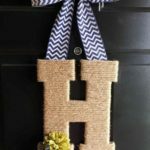 A spring DIY burlap wreath will brighten up your home, enhance curb appeal, and draw attention away from other unbecoming features. 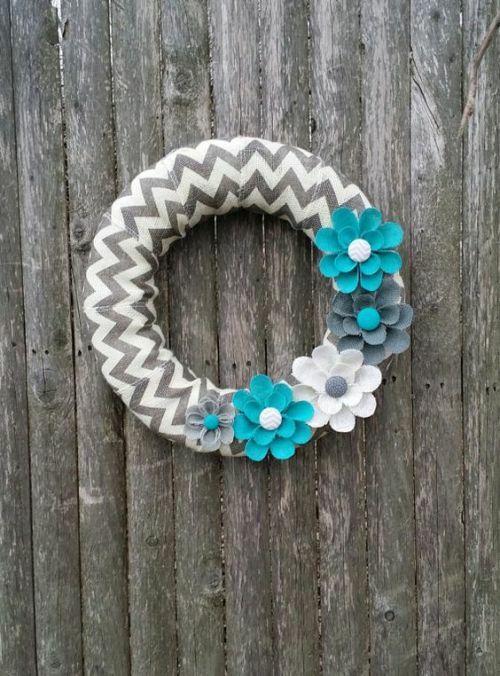 Spring Wreaths Can Brighten your Front Door! 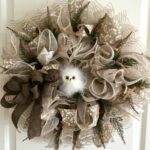 Whether you want to dress up your front door or simply show your love for the season, there’s no denying the fact that spring wreaths have unique appeal. Some can make a design statement like flower arrangements, others can help you to usher in holidays, while others can show off your green thumb. Here’s how to make your very own spring wreath. Change decorations and embellishments to fit the season! Here’s a direct link to the spring burlap wreath video. Secure the pipe cleaners on the small partitioning wires on the wreath form. Unfurl the burlap rolls evenly and secure them to the wreath with one of the pre-attached pipe cleaners. 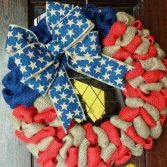 Make a loop and secure the burlap again to the wreath form. 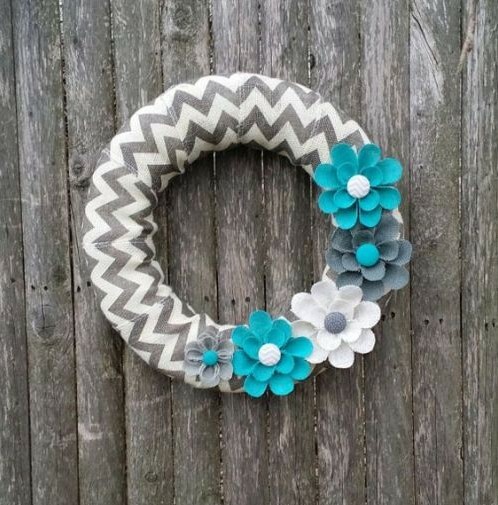 Continue making loops and attach them to the wreath form. Make sure they are the same size. Cut off the extra burlap and tuck in the ends into the wreath form sections. Plump up the burlap by pulling the two rolls in opposite directions. Make a bow with the ribbon and attach it to the wreath. Add the decorations. 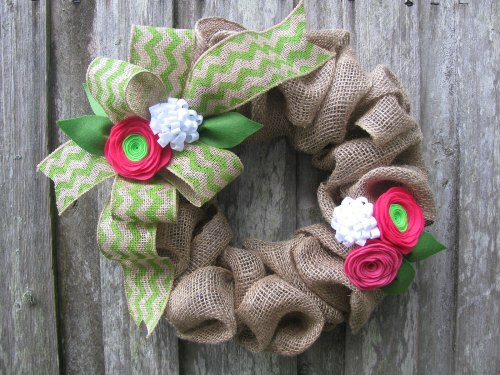 You can use colored or patterned burlap fabric to wrap a foam wreath form too! No home is complete without a spring wreath. 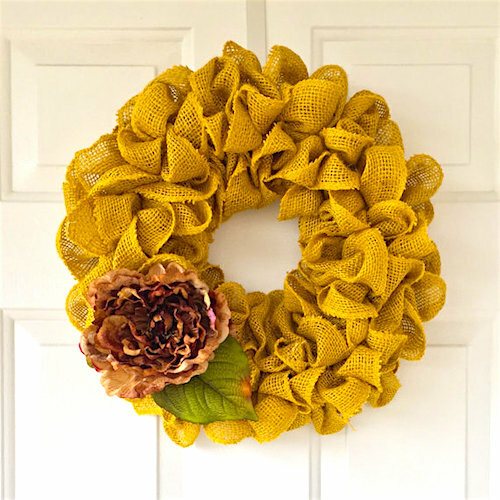 If you feel like your home needs a dash of style, make this DIY burlap wreath. 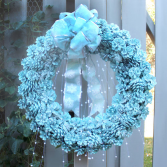 Blending form and function beautifully, it is one of the easiest wreaths you’ll ever make. 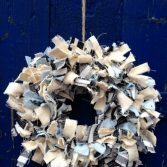 The best thing about the wreath is that you don’t have to get rid of it once spring is over, you can alter it to suit any season. 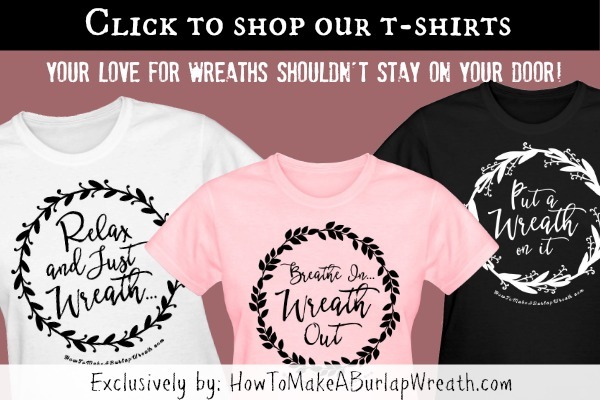 For more burlap wreath tutorials visit our burlap category, here. I loved this. 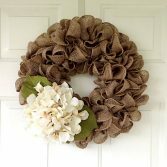 I wanted to know how to make a burlap wreath this way is easy yay! I can handle this. I loved seeing HOW to actually do it! Happy to find this blog at motivation monday I will follow!